Make your own Terrarium and enjoy some awesome, small batch brews and pizza from Flying Heart Brewing and Pub in Bossier City, Louisiana! Ephemera Terrariums will walk you step by step through how to make and care for your very own Terrarium! Once that's done, you'll visit our Decoration Station where you can use our wide variety of gravels, mosses, woodsy bits and tiny toys to bring your mini world to life! Class is $20 and includes plant, all supplies and instruction to build our classic bubble bowl Terrarium. Or make it deluxe and build our stylish cylinder Terrarium for $30. Classes will be held at 6:30pm and 8pm. Tickets is required and space is limited. This event is 21 and up, minor’s allowed with adult supervision. "With a love for Northwest Louisiana, a thirst for unique beers, fresh food, and a devotion to the Bossier community, we are always working to bring you innovative brews and pizzas in an exciting atmosphere. Our desire is to push our craft to the limit. Add an additional plant for $4. Spreading plant love through education, and our Long Term Plant Support, with a healthy dose of creativity. Founded in Brooklyn, NY by husband & wife duo Frank Garcia & Suz Reyes in 2012 and debuted at the world famous Brooklyn Flea. Combining Suz's floral & plant industry background, with Frank's upbringing in DIY culture, to form their unique blend of plants and ephemera with a heavy focus on fun. They brought they’re Make Your Own Plant Craft to Frank's native home of Fort Worth, Texas in 2014. 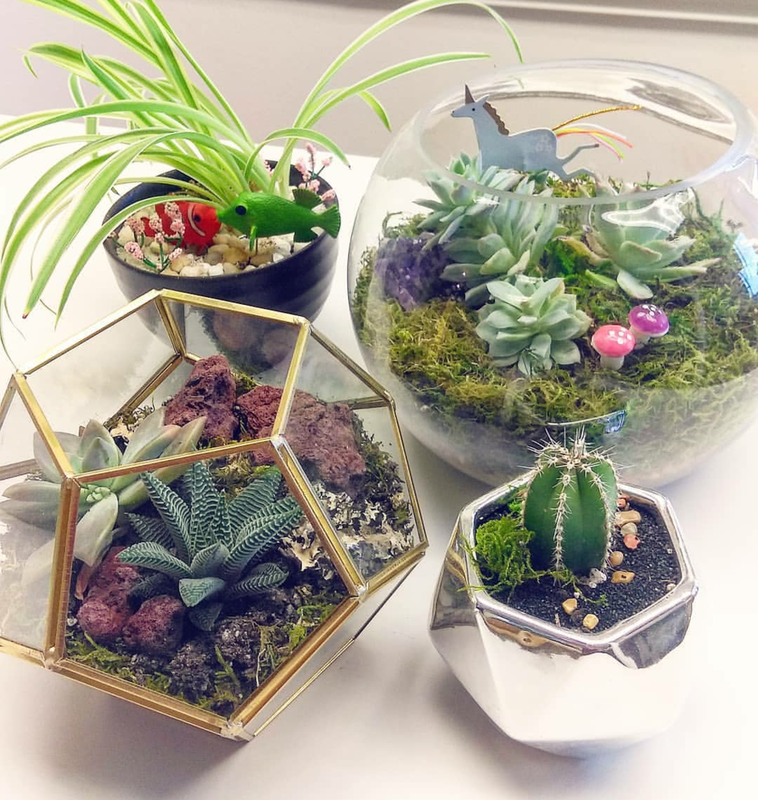 Now on their 4th year at their brick and mortar location in the cities Nearsouthside neighborhood, you can also catch their Terrarium Events across the US. Cancellation Policy: We can not issue a refund or date transfer for any class. You may pass your class registration to a family member or friend.